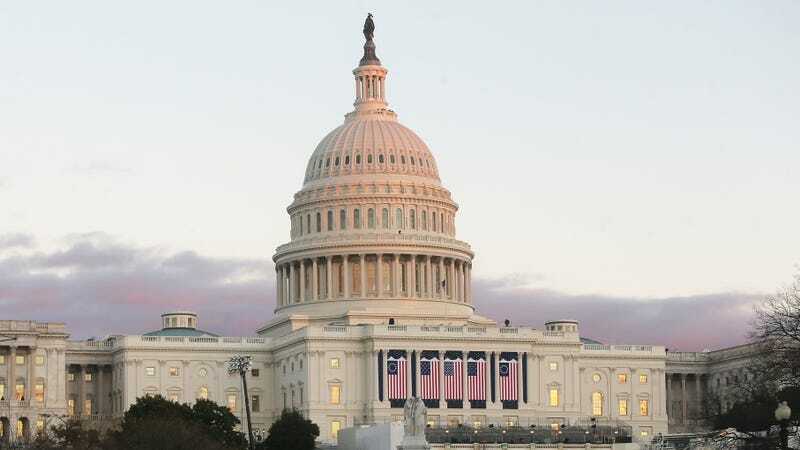 The U.S. Capitol building, seen before President Donald Trump’s inauguration in January 2017. The Senate cleared a bill late on Tuesday, the Music Modernization Act, that will dramatically restructure the way royalties are handed out to artists and others involved in the creation process—although it did so under heavy opposition from satellite and digital broadcasting services, namely Sirius XM and Music Choice. The legislation creates a new music licensing organization, run by publishers and songwriters, that will be in charge of identifying a composition’s copyright owners and paying them the royalties they are due. The Music Modernization Act also creates a new standard for the rate-setting court to use to determine the fair royalty rate songwriters should be paid.